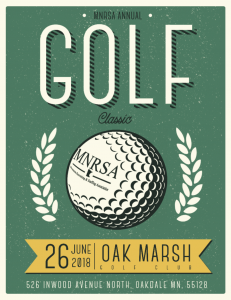 Are you an Industry Partner looking to attend the MNRSA Golf Classic? Sponsor the MNRSA Golf Event! 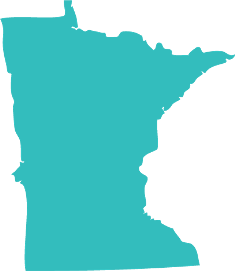 This is your only way in to the premier networking event for the Staffing & Recruiting in Minnesota! Golf with industry leaders, owners, managers , recruiting & sales professionals, and others in the industry! Don’t miss out on this fun filled event! Register here. $2500 | Recognition on all promotional items, print materials, and event signage. Includes FOUR twosomes (8 golfers), carts, lunch & dinner. Signage as Title sponsor at every hole. Exclusive Hole # 1 signage. $2,000 | Recognition on every golf cart & on all promotional items. Includes Three twosomes (6 golfers), cart, lunch & dinner. $1,500 | Recognition on premium hole tee box & on all promotional items. Includes THREE twosomes (6 golfers), carts, lunch & dinner. $1,400 | Recognition on every dinner table & on all promotional items. Includes TWO twosomes (4 golfers), carts, lunch & dinner. $1,200 | Recognition with your company logo imprinted on the gift given to each golfer. Includes ONE twosome (2 golfers), cart, lunch & dinner. Without Golfers, $1,000. $1,200 | Recognition on a Par 3 green & on all promotional items. 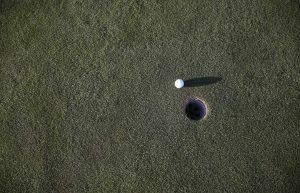 Includes Hole in One Insurance and ONE twosome (2 golfers), cart includes lunch & dinner. Without Golfers, $1000. $800 | Recognition on premium hole tee box & on all promotional items. Includes ONE twosome (2 golfers), cart, lunch & dinner. $750 | Recognition at club house & on all promotional items. Includes dinner for two and drink ticket for each golfer. $500 | Recognition at club house & recognition on all promotional items. Includes dinner for two. $300 | Recognition on selected tee box & on select print materials. Please feel free to market your company by setting up a table on the tee box. (Table & Chairs not provided). Complete your sponsorship registration here or email dee@mnrsa.org.